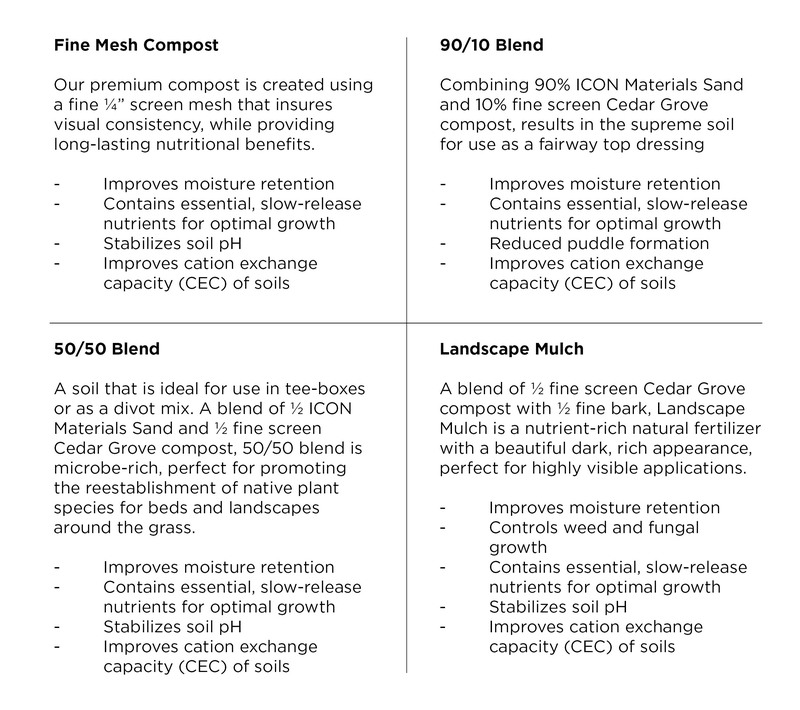 A nutrient-rich blend of organic materials, Cedar Grove compost is the logical alternative to peat-based top dressings. Proper application of Cedar Grove compost can decrease your use of pesticides, fertilizers and irrigation – reducing maintenance costs and providing benefits for the environment. Top dressing your turf with compost can suppress many soil-borne fungal diseases as effectively as conventional fungicides. Decrease the need for fertilizer. Adding compost makes your fertilizer applications more efficient & “greens up” grass with promoting excessive growth. 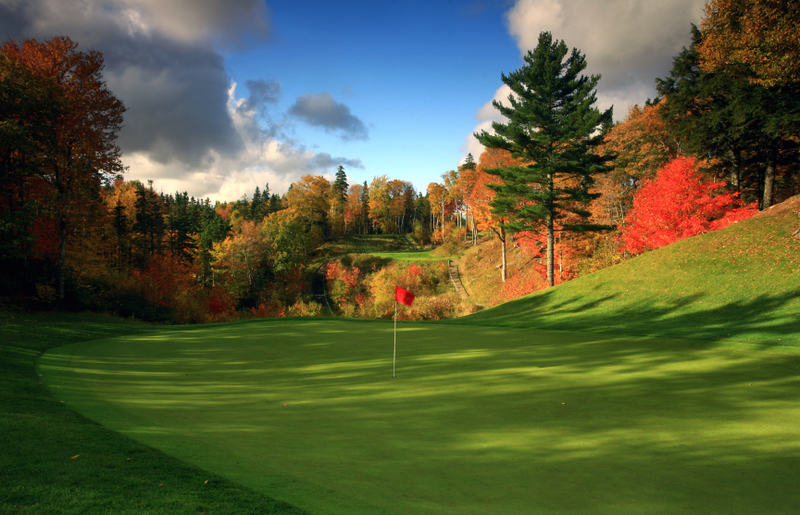 Adding 10-20% compost to your sand top-dressing can boost water filtration rates and reduce your water usage needs. Regular compost use invigorates plant growth & helps develop strong roots.